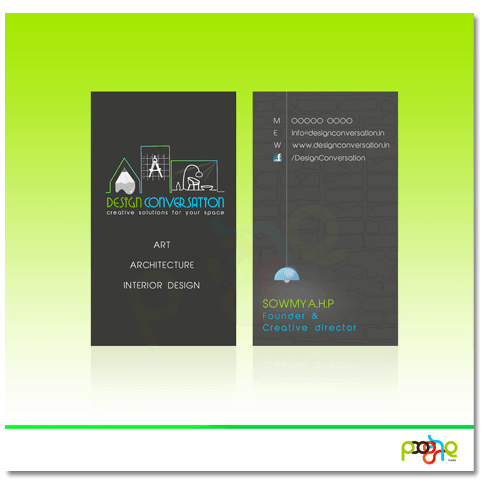 Design Conversation is a Bangalore based design studio providing Creative Architectural and Interior design.The focus of the firm has always been to put the best designs forward and create a space that would be recognized for its practicality and experience with holistic and appropriate design approach.approach. Poogle media had an opportunity to create iconic logo design and branding solution for this ultra creative studio. Poogle designed a logo that communicated the interior and exterior with modern elements based on tradition, purity in form and simplicity in composition.This project had outburst of creative approach as we had bridge all the elements each communicating a strong message about their core service.